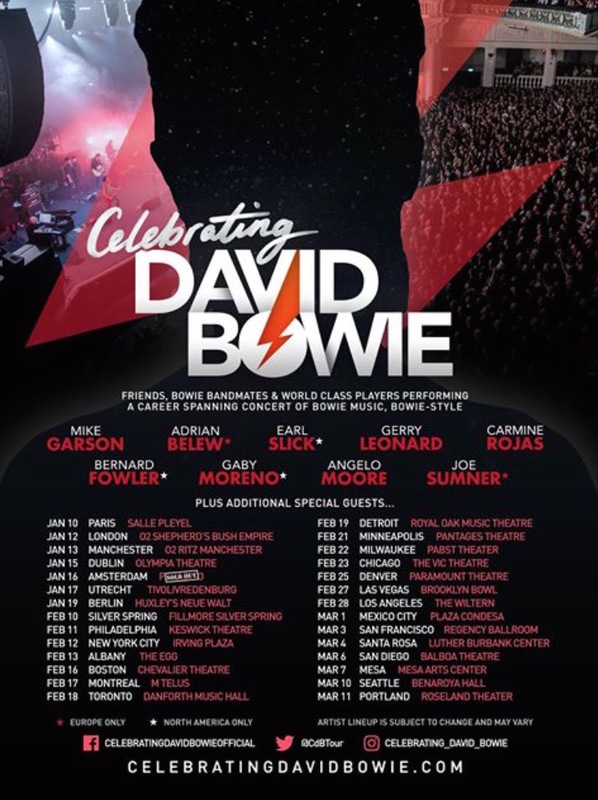 Celebrating David Bowie will add musicians Earl Slick (guitar) and Bernard Fowler (vocalist) to the North American leg of the recently announced 2018 tour. After performing earlier this year, Celebrating David Bowie returns with a brand new Bowie show spanning his entire career with a new show in Mexico City that was also just announced. Celebrating David Bowie keeps Bowie’s music alive with musicians who worked closely with him throughout his career and other top musicians greatly influenced by him. Guitarist Slick worked on landmark Bowie albums such as Diamond Dogs, Young Americans and Reality, among others, and toured extensively with him. Vocalist Bernard Fowler is known for his work with The Rolling Stones and others. 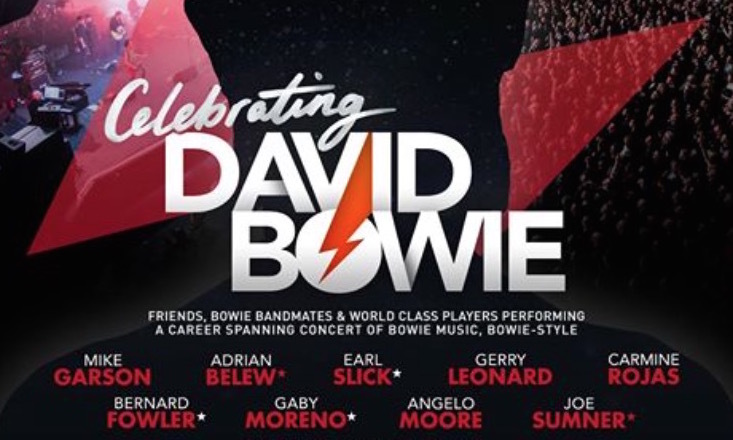 Both Slick and Fowler will join legendary Bowie touring and recording keyboardist, and CdB band leader, Mike Garson–who collaborated with Bowie for longer than any other player–guitarist and previous Bowie band leader Gerry Leonard (A Reality Tour), and Bowie’s Let’s Dance/Serious Moonlight Tour bassist Carmine Rojas. 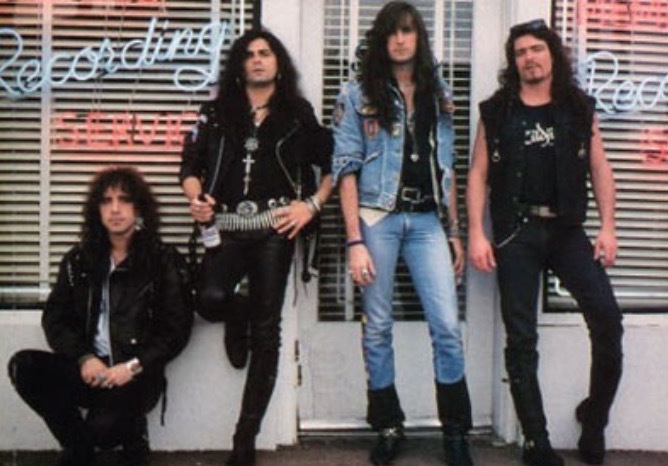 Between them, they have over 30 years experience of recording, writing and playing live with Bowie. Also joining the tour will be CdB 2017 standout Fishbone’s Angelo Moore and 2017 Grammy nominee Gaby Moreno as well as special guests and other former Bowie band members who will make surprise appearances along the way. The European leg of the Celebrating David Bowie tour begins in January with a modified band lineup and a new Berlin date on Jan. 19 with tickets on sale Saturday, Nov. 4. The large rotating ensemble with world class multi-instrumentalists changing song to song will perform a show highlighting elements that influenced Bowie and that in turn Bowie influenced: pop culture experimentation, art, fashion, science and futurism. Previous special guests on CdB shows have included: Sting, Gary Oldman, Seal, Perry Farrell, The B-52’s’ Kate Pierson, Ewan McGregor, Simon Le Bon, Gavin Rossdale, La Roux, Joe Elliott, Mr Hudson, Gail Ann Dorsey, Spandau Ballet’s Steve Norman, Corey Taylor, Ian Astbury, Darren Criss, Tony Hadley, Living Colour, The London Community Gospel Choir, and The Harlem Gospel Choir, among many others.